6 Herbs That Have Amazing Health Benefits For You! Basil leaves are rich with essential oils that act as powerful antioxidants, anti-inflammatory and antibacterial. Basil is also a great source of vitamin A and iron. You can use it with different types of salad as a spice. 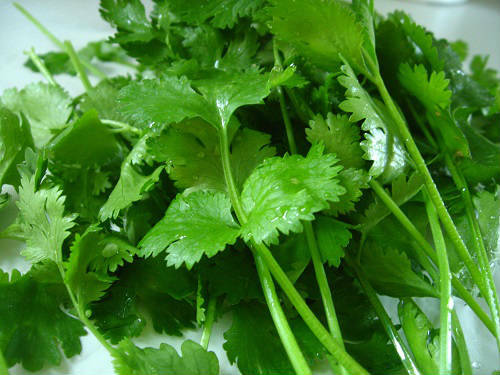 Coriander helps the liver in the process of cleansing the body from heavy metals. You can consume it in salads and juices. It contains two acids, which have good anti-inflammatory and anti-oxidants. It is rich in vitamin E. With the addition of rosemary in the dish will reduce cancer compounds that directly affect the development of tumors. Parsley is great for improving immunity. It also helps in releasing excess fluid in the body, it heals the nervous system and bones. It removes bad breath effectively. It can be used in salads, dishes, juices and desserts. Peppermint is great for digestion and freshens breath. Thyme is rich with vitamins A, B, and C, but the minerals – calcium, magnesium, potassium and iron. Strongly affects the digestive system. Tea Thyme is great.